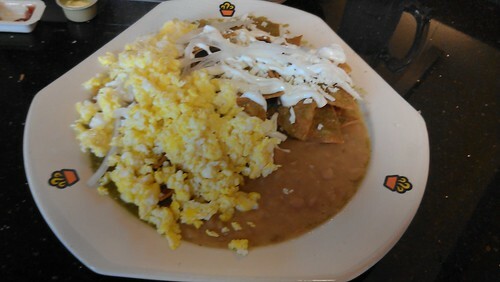 This is not a taquería, it's a potzolería and it features food from the little-known Mexican state of Querétaro and according to the encyclopedic Mexican food extraordinaire Bill Esparza it is quite possibly the only such restaurant in all of California . . . and perhaps beyond (including the rest of Mexico outside Querétaro). 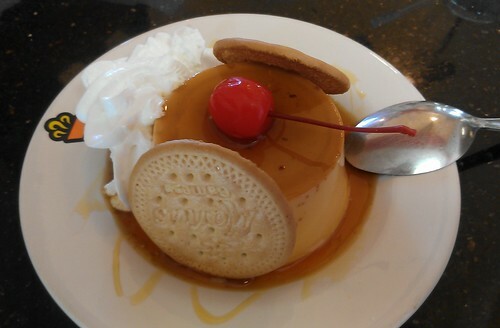 This alone makes it stand out as a place to try. 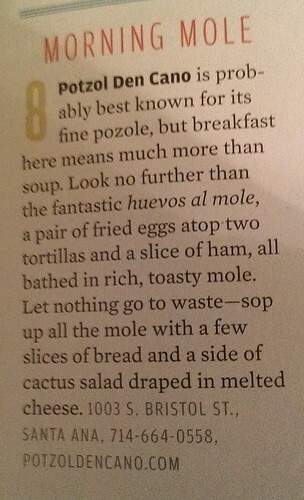 The OC Weekly has given them four mentions so far (Link #1, Link #2, Link #3, Link #4) and even Orange Coast Magazine has given them a mention, lauding not only their pozole but one of their breakfast dishes as well. When I went my first time I decided to get their signature dish and when I saw a picture of it on their menu I said, "Oh, it's a pozole verde." The very nice waitress said, "No, it's actually a clear pozole." Okay, I'll try that. 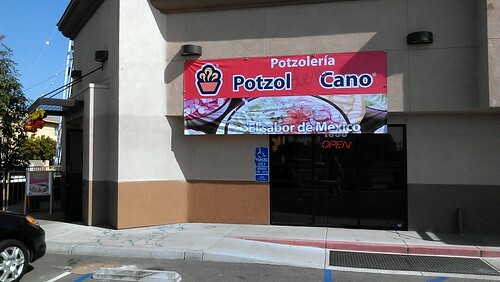 There's all sorts of sizes and combinations of pozole that you can get here. 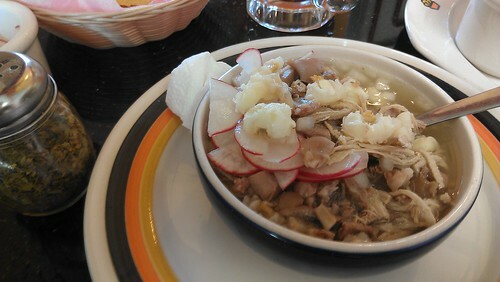 I went with the "small mixto" which meant that in addition to shredded pork you also get various bits of diced pork head. If that's not your thing you can just get shredded pork . . . or shredded chicken . . . or even a vegetarian option. The small was big enough for me and was loaded with meat the top, so much that at first I thought that this kind of pozole must be a kind that doesn't have hominy but under the layer of meat were the biggest and fluffiest kernels of hominy I have ever seen. I utilized all the toppings they provided including lettuce (starting to see lettuce served with pozole more and more when it used to just be cabbage), radishes, onions, red sauce, and the oregano shaker from their table. To me, pozole always has to be experienced and this is no exception. Sit down, settle in and prepare to soak up the many nuances and nooks and crannies of flavor in this amazing dish. View the complete photo album (22 photos so far) on flickr by clicking here.